Spring is finally here and I couldn’t be happier. Walks to the park, rubber boots and puddles, I love this time of year. The snow will be gone before we know it and my spring and summer dates will begin to book up - if a bug free spring family session with a little bit of puddle jumping appeals to you be sure to check out my available session dates here limited April and May openings available. Mommy & Me studio sessions are also coming up for Mothers Day on April 27th - visit me on Facebook to learn more. I have so much to look forward to this spring, my first Mama & Camera’s class and so many spring newborns. I was also thrilled to learn my favorite newborn photographers Hello Baby Photography will be in BC this summer for a workshop and lucky me I get to go! The most amazing thing about being a photographer is that there is endless opportunities to grow and learn and I am so lucky to have the opportunity to learn from the best photographers from around the world. 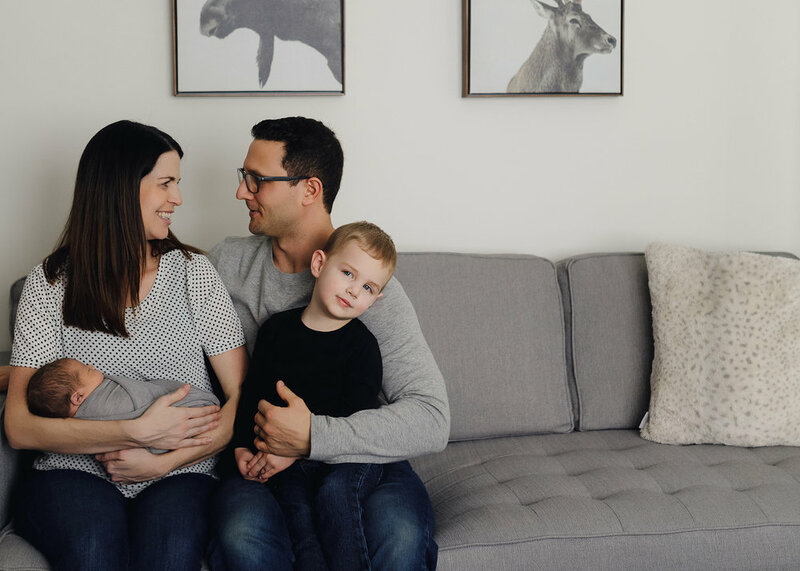 I was so lucky to meet this sweet family earlier this year for a maternity session and again for an in home newborn session just over a week ago once baby George arrived. 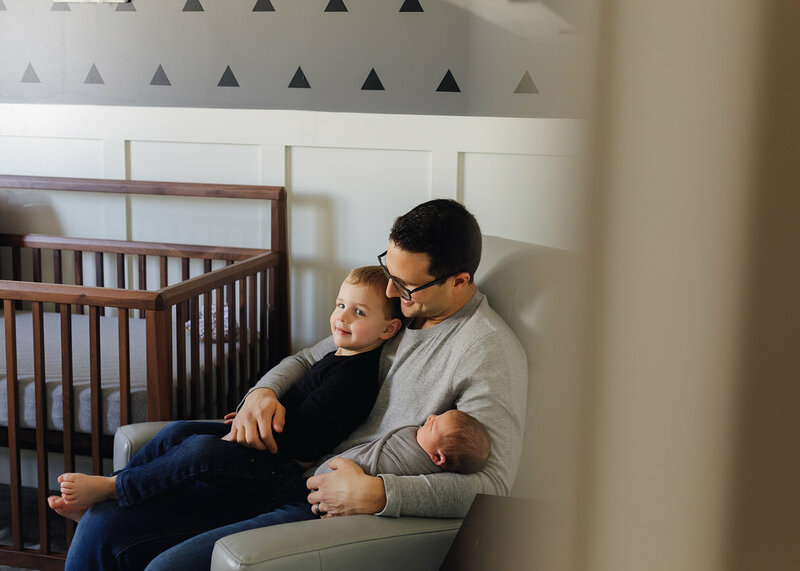 Photographing families in the comfort of their home has a special spot in my heart, I love using the background of their home to really capture the story of those early days with a newborn. Big brother Cooper wasn’t camera shy at all and made my job so much fun. Little George was surprisingly wide awake for being just 6 days old, but drifted off to sleep once I got him into his comfy spot - he loved being on his side. Robyn and Aaron, thank you so much for inviting me into your beautiful home to capture your family and this special time. Wishing you all the best as a family of four. Love, K.